Centro Hotels combines 52 three- and four-star hotels in Germany and Austria. 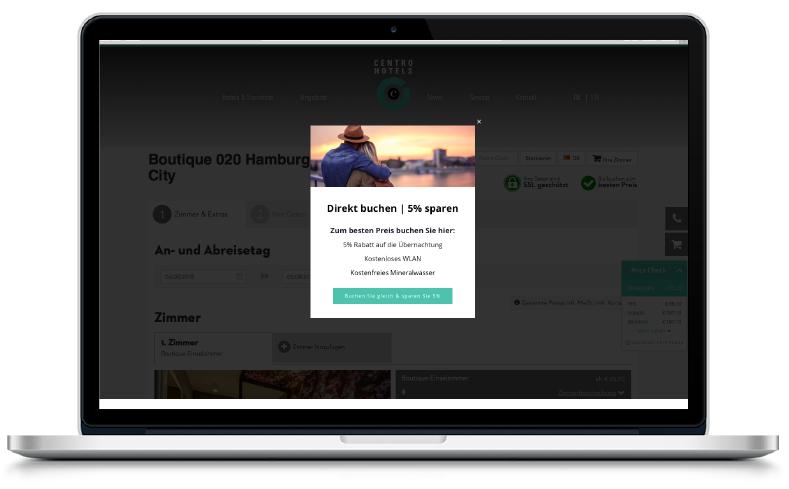 The Hamburg-based group partnered with Triptease to drive more direct bookings. One year on from the beginning of our relationship, we measure the results of our work together. “The main challenge for us is maintaining rate parity on OTAs and metasearch engines”, says Gerd- Martin Linke, Director of Revenue & Sales. The team at Centro Hotels knew that improving parity and being transparent with their prices to potential guests was key to increasing the number of people booking directly through their website. The troubles came not only from the OTAs, but also from Germany’s fast growing compset: international hotel groups such as Premier Inn and Hyatt added their brands to the German market. For today’s generation of internet-savvy guests, a seamless online experience is not a luxury but a necessity. Centro Hotels knew they needed to strengthen their website game to stand out from the crowd and connect with potential guests. A year ago, Centro set Triptease’s Direct Booking Platform live on their website. “I still remember how diligently the Triptease team worked on integrating the platform in the fastest way possible!” recalls Gerd-Martin. The Platform made decreasing parity effortless across all 52 properties, also enhancing the online guest experience. The team at Centro use Triptease’s Disparity Dungeon to monitor and optimize their rate parity with OTAs, while Price Check (fig.1)displays to guests searching on Centro websites to show that they’re getting the best price if they book direct. Centro counts on Message Porter (fig.2) to ensure that no potential customer leaves the site without being reminded that the best deals are found direct! For Centro, the Platform has proven to be a perfect match. 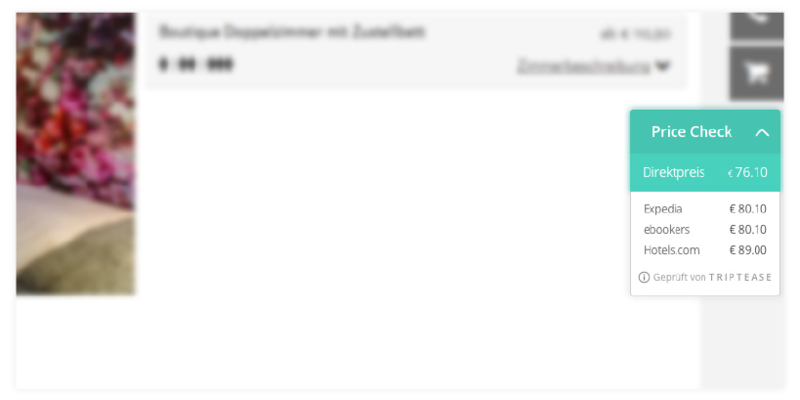 In one year, Message Porter alone has influenced 2,367 conversions with a value of €446k. The Disparity Dungeon has helped the Centro team decrease their disparity rate by 11.5%. The platform is as easy to use now as it was a year ago, but with more and more functionality! Already top-performing users of the Message Porter feature, the team at Centro Hotels can now make use of even more personalization and targeting features with the new Nudge Message format.